Note: You will have a special journey to experience Chinese Culture! You will have a special journey to experience Chinese Culture! Meet at airport and transfer to check in hotel. Welcome to Xian! Our guide will meet you at the Arrival Hall of Xian International Airport, and then transfer you to your hotel in downtown. Free for leisure the rest of the day. 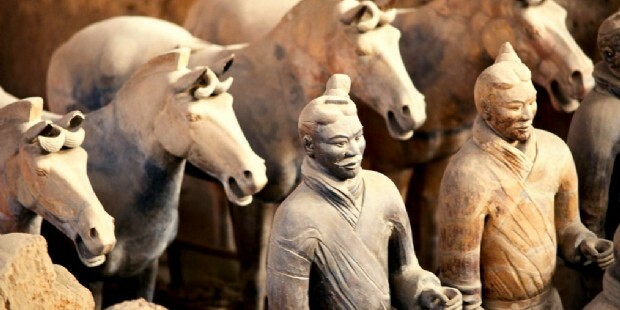 You will spend the whole morning to visit the amazing Terracotta Warriors and Horses Museum which is believed to be the most significant archeological excavation of the 20th century in the world. Thousands of life-sized soldiers and horses were neatly arranged in battle formations with distinct expressions on each face, reflecting the mighty forces and advanced manufacture of the Qin Dynasty more than 2,000 years ago. The Bronze Chariots and Horses and the exquisite bronze weapons displayed in the museum will also give you a deep impression. 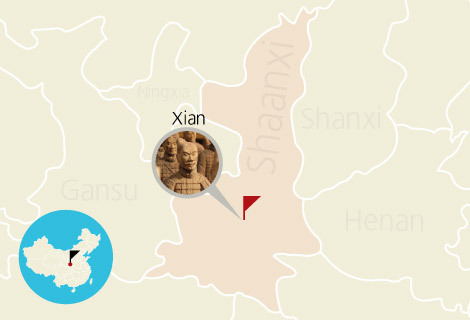 Then continue to visit Huaqing Hot Spring, which is famed for both its dainty spring scenery and the romantic love story of Emperor Xuanzong (685-762) and his concubine Yang Guifei in the Tang Dynasty. Dinner tonight will be the famous local specialty Dumpling Dinner, at the same time; the fancy Tang Dynasty Music and Dance Show will present you a feast of eyes. Today's tour starts from one of the landmarks of Xian, the City Wall. 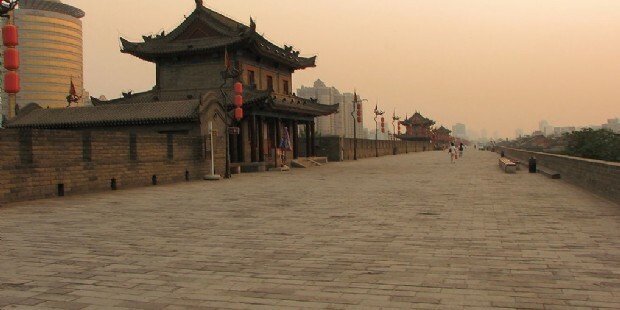 Constructed between 1374 and 1378 during the Ming Dynasty, it is the best-preserved city wall in China with a total length of 11.9 km (7.4 miles) and a height of 12 meters (39 feet). If time permits, you can either walk or rent a bicycle to ride on the wall to have a panoramic view of this ancient city. 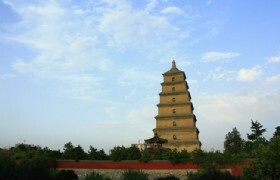 In the afternoon, you will continue to visit the Big Wild Goose Pagoda in the afternoon. 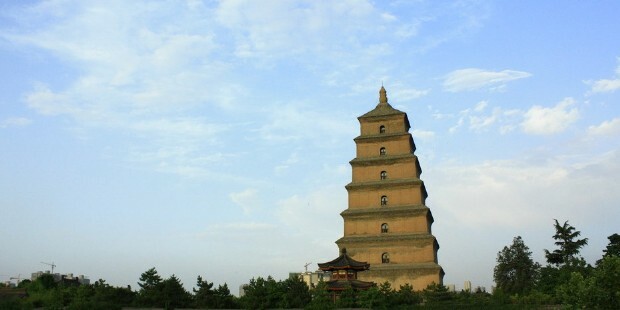 Built in 652 during the Tang Dynasty, the seven-storey square cone-shaped pagoda was used to house the Buddhist statues and sutras brought back from India by master Xuanzang. It is not only a Buddhist masterpiece but also regarded as one of the landmark construction of Xian City. In the afternoon, visit the Muslim Street, where many delicious local food and interesting souvenirs could be found, dinner on your own. After breakfast, you will take a high-speed train to arrive at Luoyang in 2 hours. 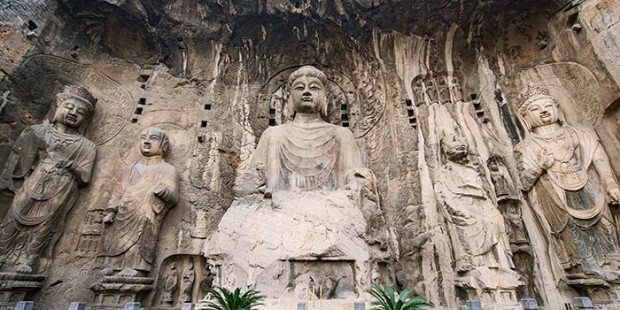 Upon your arrival, our Luoyang tour guide will transfer you to visit the Longmen Grottoes, which is one of the four most noted grottoes in China. 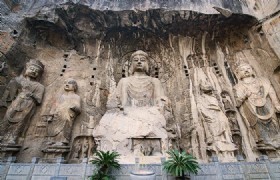 The entire carving work here has lasted over 400 years from the Northern Wei Dynasty to the Northern Song Dynasty, showing the prosperous Buddhist culture from the late 5th century to the 10th century. There are altogether some 2,300 caves and niches filled with countless Buddha statues and inscriptions in Longmen Grottoes. 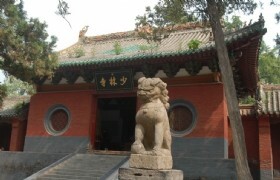 You will then visit the White Horse Temple. Reputed as the number one temple in China, the White Horse Temple was the first temple invested and built by the court after Buddhism was introduced into China about 1,900 year ago during the Eastern Han Dynasty. 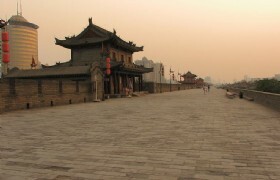 Later, it became the center of China's Buddhist activities. 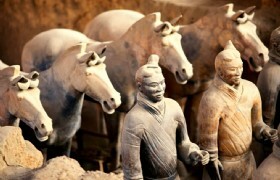 The last stop of today is the Royal Chariot and Horse Pits of the Eastern Zhou Dynasty. Based on these archeological discoveries, a museum was built to display the giant horses and chariots sacrificial pits of over two thousand years ago. 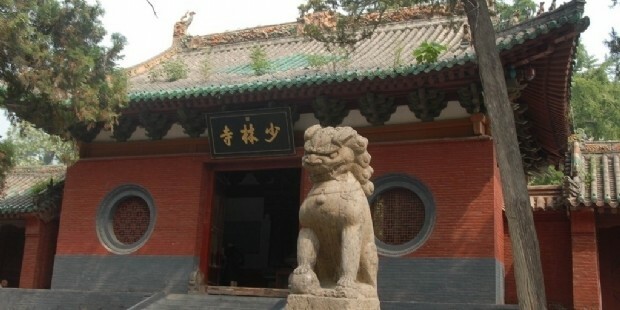 The morning tour will take you to Shaolin Temple to have a Kung Fu tour. Situated among the dense forest at the foot of Song Shan Mountain, it was originally built in 495 during the Northern Wei Dynasty, and was greatly expanded when Bodhidharma, a famous Indian monk and the patriarch of Chinese Zen, came to impart Zen Buddhism in China. Besides its long history, the temple is much more famous for Shaolin martial arts, the performance of which you could watch while visiting. When the tour is finished today, our guide will see you off at the airport. Please board on your flight for the connecting trip on time! * If you need Indonesian speaking guide, please send inquiry to us for further arrangement! * Prices are in US dollars per person. Prices may vary according to your travel time and are higher in the high season, e.g. Labor’s Day (Apr 29-May 3, 2015), China National Day Holiday (Sep 29-Oct 8, 2015), and Luoyang Peony Fair.